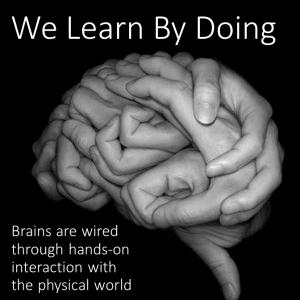 When I was first versed in Brain Based Learning, it was mostly about how students remember. Growing up in the late 60s and 70s most of what I learned was based on rote learning, that is repetition. The more it was repeated, the more it should have been remembered. Unfortunately, this type of learning wasn’t enough for me. I would shut down and get bored regurgitating the same information repeatedly in the same way. Our senses are always working. We are inundated with sounds and images. Our sensory receptors (think five senses: see, hear, touch, feel, taste) are also being overloaded with information. Our brain is constantly trying to distinguish important from unimportant stimuli. Research has shown that our brains can only pay attention to ONE COGNITIVELY demanding task at a time. Now be careful when thinking about this research. This doesn’t mean that we can only process one task at a time. It means that we can indeed multitask, as long as we are juggling with ONE meanigful task. And if we need to take a moment to separate out important tasks, we could and we should. Brains may face a “bottleneck” in which different regions of the brain must pull from a shared and limited resource for seemingly unrelated tasks, constraining the mental resources available for the tasks. Research has identified that even when different cognitive tasks draw on two different regions of the brain, we still can have performance problems when trying to do dual tasks at the same time. This may help explain why talking on cell phones could affect what a driver sees: two usually unrelated activities become interrelated when a person is behind the wheel. These tasks compete for our brain’s information processing resources. There are limits to our mental workload. Have you ever gotten in the car with so many things on your mind, you begin driving somewhere you didn’t mean to go? This is because your brain is in overload. Sensory memory is that initial stage of retrieval and this is why activating strategies to hook the learner are so very important. Getting the student to “buy-in” to what the teacher is “selling” is the first step in creating a purposeful and meaningful lesson. Creating excitement and curiosity about your lesson is an important way to build sustainable interest. Sousa (2001) divided long-term memory into categories that may be stored in different parts of the brain. Short-term memory (sometimes referred to as immediate memory) includes what you focus on in the moment, what holds your attention. Most people can only hold about 7 items of information in short term memory at any given moment (like a phone number). This is why teachers are encouraged to start their lessons with an activating strategy, a hook. There is a song by Blues Traveler titled The Hook. The lyrics say the hook brings you back and on that you can rely. The lyrics are spot on! When a teacher is able to hook the students by engaging their senses or emotion, students will want to learn. To learn anything, we must first be motivated to learn. We must put it into our sensory registry. The activating strategy is by design used to get our attention. It should be about a ten sometimes twenty minute mini lesson. And teachers must then determine how can they transfer that motivation to working memory. If not pushed towards the working memory, students will quickly forget most stimuli your just gave them. If yu have ever studied for a test, then you know reading the material a few times is not enough to get it into your long term memory. This is why teachers must have a solid understanding of building retention through a toolkit of stratgies that shift information from Immediate Memory to Working Memory and ultimately to Long Term Memory. Working memory. The teacher then consciously focuses on that motivation and uses cognitive and organizing strategies to reinforce. Then we begin to move that information from short-term memory into working memory, where students can begin to start manipulating the information and hold onto it in their working memory. The teacher should use a variety of teaching styles to help appeal to a variety of learning styles so that students can now hold onto the information even longer. But it will not go into long term memory until students have had it pass through these first two stages of information processing. Long-term memory includes all the information that you know and can recall. In many ways, it becomes a part of you. Once information becomes a part of your long term memory, you’ll have access to it for a long time. This is where teachers introduce practice. Repetition and rehearsal now help move information into long-term storage. Learning through understanding involves learning and remembering by understanding the relationships among ideas and information (remembering main ideas and supporting details from a lecture because you understand the concepts and relationships between ideas). Both types of learning and memory are useful and often are used together. Before you can manage your classroom, you must be able to manage how you will help them get information from their short term to their long term memory. When we know how we learn best in terms of our learning style and preferences and are able to apply appropriate study techniques, we are better able to attend to, take in, and process information in various learning situations. When we fully understand information (at all cognitive levels), we are better able to remember information. By using elaboration strategies such as summarizing, questioning, and using visual organizers, we “deep process” information in a way that assists and insures understanding. As a result, we are better able to appropriately “file” and to retrieve information, and thus, assure memory of the information. Create interest. Motivate to capture the attention of your students. What students want to learn is an important part of learning. When people are interested and want to learn, they learn and remember more effectively. Determine why the information you are presenting important to the learner. Then determine a way to present information in a way that is meaningful. Providing visual images to something authentic or real-world helps the student make connections to their personal life which then in turn makes it meaningful to them. Creating mental pictures makes remembering clearer and easier than remembering words. Holding a visual image in your mind and looking at it carefully for a few seconds will help you recall it. Creating opportunities for visual images such as pictures or videos is a very immediate way to create interest. When you relate information to other information, you create a chain of memories which lead to one another. When you label an information chain or group of ideas, you create a kind of “file” that makes it easy to locate and remember the information. Think of My Very Educated Mother Just Ordered Us nine Pizzas…this mnemonic device helped me learn the names of the planets. Mnemonic devices are techniques that allow you to form associations with the material that you are learning. If you use the mnemonic correctly, then you should remember the mnemonic and the associated information. Mnemonics are especially good for remembering information that is not well structured. It provides that structure that the information is lacking so that it can be stored in your long term memory in an organized way and be retrieved when needed (like on a test). NASA, FBI, and MBU are acronyms, or words that are made up of the first letters of other words. Acronyms can help you recall lists of information. For example, the three branches of government are Executive, Legislative, and Judicial. You might want to arrange the words so that your acronym is JEL (Judicial, Executive, Legislative). Thinking about your acronym will help you to remember your list. Acrostics are also called catchphrases. A catchphrase is a sentence made up of words beginning with the first letters of other words. For example, instead of remembering the National Aeronautics and Space Administration by the acronym NASA, one could remember the catchphrase Astronaut Stays Around. On the test, you can reference this catchphrase to help you remember that N in “No” stands for National, A in “Astronaut” stands for Aeronautic, S in “Stays” stands for Space, and A in “Around” stands for Administration. Catchphrases are very useful information that may not form an easily remembered acronym. It is also useful for steps in a process, causes and effects, and key points for essay questions. Sometimes closely related information (even if it is simple information) can cause more confusion than you would expect. Forming associations between this information and something that is easy to remember can help trigger your memory during an exam. Think about longitude and lati trouble distinguishing between these two concepts? An example association to help you remember might be to relate the letter “n” in longitude to the word north. Thus, when you see the “n” in longitude, you will associate it with north and remember that longitude lines run north to south. Similarly, you might want to remember that “lat” from latitude rhymes with flat, i.e. the lines appear flat or horizontal when viewed on a map. In order to successfully use a mnemonic device, you must use high level rehearsal strategies to learn the information corresponding to the mnemonic. The mnemonic is only used to retrieve the information once you have learned it. For example, NASA does not have any meaning unless you have used rehearsal strategies to learn that it stands for National Aeronautics and Space Administration. Even though you’ve already learned something, go over it again and again. Rehearsal means practicing the material until it is learned. This is a very necessary component of studying. If you do not repeatedly practice the material, it is less likely to transfer into long term memory, and you will have difficulty remembering it during the exam. There are two types of rehearsal strategies: Low Level and High Level. The amount of material and the difficulty level necessitate the use of high-level rehearsal strategies. 2. If you do not understand the material, low-level rehearsal will not help you remember it. For example, read the following sentence three times, close your eyes, and try to repeat what you read. El hombre dijo hola a la mujer en la calle. If you are not fluent in Spanish, you probably were not able to remember the whole sentence. This is because you did not understand the meaning of what you read. Examples: Outlining, Predicting test questions, Creating: Charts/Concept maps/Self-tests/Study Sheets, Explaining material in your own words. Creating additional cues that can help you locate the material in your long term memory. Spaced practice is the opposite of cramming. It involves spacing your study time over a period of time. Instead of studying the night before an exam for eight hours, study for two hours a day beginning four days before the exam. This allows the information to consolidate in your long term memory. Spaced practice also leads to the information being better organized in your long-term memory. Overlearning involves exactly what the name implies – continuing to work on the material even after you have learned it. This practice improves your memory of the information. As you review the learned material in other ways, you form new associations that can help you when recalling the information. If you suffer from test anxiety, overlearning is something that you should do for every test. Anxiety interferes with your ability to recall information. However, overlearned information is so firmly embedded in your long-term memory that it not as susceptible to anxiety. Research shows that the time you spend on over-learning and putting ideas into your own words will pay off by making recall easier and more complete. When you learned how to ride a bike, or shoot a basketball, or play a musical instrument, did you master the skill after only one practice period? Your answer most likely is no. In order to master something you have to practice repeatedly. This is the same for studying. If you want to master your material, you must practice it. Remember this phrase: write, recite, and think. If you do those things you will find that more of that information makes it into your longterm memory. Think of your brain as a giant file cabinet. As you take in new information, you want to be sure that it goes into the appropriate “file folder.” In order to do this, you first need to think about the information. What do you already know about it? If you already have a “file” on this information, add the new information to it. If not, start a new “file” that is labeled appropriately so that you’ll be able to find it later. Breaking up information or reading into smaller chunks helps you process it better. It works for learning vocabulary as well. Breaking tasks down complements Spaced Practice. Instead of cramming by studying all material during one long study session, study only one or two chapters during shorter, spaced study periods. This theory states that when you are learning a great deal of information at one time, you tend to remember best what is read or presented first and last. The rest gets lost in the shuffle. If you are teaching you will want to make sure your activating and summarizing strategies help ground the learning. It will also be important to learn more about distributive summary strategies. Goals setting helps students take ownership of their learning. It helps them see their growth, understand it and analyze it. Check out the diagram to the left. Look at the difference between a brain at rest and a brain with activity. Brain Based education includes research based strategies to help teachers manage their classroom through a study of sciences on how the brain works and responds. Eric Jensen is credited with being the national guru for brain based education. His book Moving with the Brain in Mind discusses the importance of physical activity in enhancing the learning process. His brain-based topics focus on practical strategies linking brain research to student achievement. Used with permission from rachel-lynette.com at Minds in Bloom. Brain Breaks are a great way to pause and engage students in a movement activity to help them get the wiggles out and even take a moment when you begin to see a student or situation begin to escalate in your classroom. They can also be used when you are teaching something that may be extraordinarily difficult or complex. Students can use your brain breaks as an opportunity to refocus and continue learning. Even adults need brain breaks and we use them in our professional development and workshops to re-ignite the interest and refresh our attention. Brain breaks should be about two to three minutes. There needs to be discussion with your class about the purpose of brain breaks. 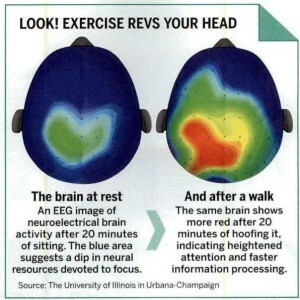 Brain breaks should be quick and easy. They should also be quiet enough not to disturb the class next door. Rachel Lynette from “Minds in Bloom” uses this “Roll a Brain Break” activity in her classroom to offer opportunities for teamwork, problem solving and cooperation to help build relationships in her classroom. 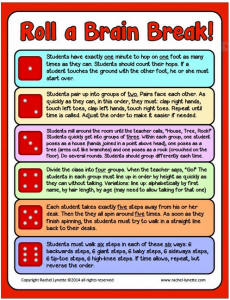 Some teachers use a big blow up die which adds novelty and fun to the experience of the “Roll a Brain Break” activity. At US Digital Literacy we also use this activity in professional development and the teachers seem to enjoy the experience as they think about how they too can incorporate it in their classrooms. GoNoodle is a free website where teachers can find the brain breaks they need to motivate students and channels energy throughout the day! With increasingly demanding lessons and testing preparations, many teachers employ the use of “brain breaks,” short bursts of physical activity that can be practiced throughout the day to improve student focus, engagement, and happiness! GoNoodle’s online brain breaks provide teachers with an easy and fun way to keep students moving and learning. GoNoodling teachers spend time throughout the day dancing, running in place, or practicing yoga. These short investments (5 minutes or less) in student movement save time in the long-run as studies show students are most actively engaged in learning after a burst of exercise. In addition to high-energy brain breaks, GoNoodle also includes calming and de-stressing activities like deep abdominal breathing and mindfulness exercises. Some brain breaks are even aligned to core subjects so students can get their wiggles out while practicing fluency in math and ELA. nonoverlapping cortical systems in dual cognitive tasks. NeuroImage, 14 ( 2), 417-426. Dux, P. E., Ivanoff, J., Asplund, C. L., & Marois, R. (2006). Isolation of a central bottleneck of information processin with time-resolved fMRI. Neuron 52, 1109-1120. Wickens, C. D. (2008). Multiple resources and mental workload. Human Factors, 50 (3), 449-455.